Phil Trahan is a lifetime tennis enthusiast who has coached hundreds, improving their game while compiling quite an impreeive record for himself. Listed are some of Phils career Highlights. Captained 1974 Louisiana – Monroe team that defeated #4 ranked SMU and finished 16th at the NCAA Division 1 Championships in Los Angeles. Advanced to the 3rd Round before falling to #2 seed Victor Amaya. Collegiate wins ove Canadian National Champion Jim Boyce and future World Top Tenner Tim Gullikson of Northern Illinois. Senior wins over perennial age division World Champ Jim Parker and Tom Smith, #2 Ranking 55 and over player in the USA. About Tennis Life Camp with Phil : Players wanting a weekend tennis getaway with friends, family tennis vacation, or camp experience with Phil at the Tennis Life will love Lake D’Arbonne State Park’s facilities and the awsome scenery. The Cabins and Lodges have high ceilings, large kitchen with amenities fireplace,TVs, wireless internet & campgrounds. Thursday April 29, 2010: Arbor Lake retirement home had 27 outstanding citizens come and enjoy a gorgeous day of fishing, picnicking and relaxation. Sunny skies, a bit breezy at times, but just a terrific setting. Some of the wild azaleas were still in bloom and the honey suckle is now in full bloom. 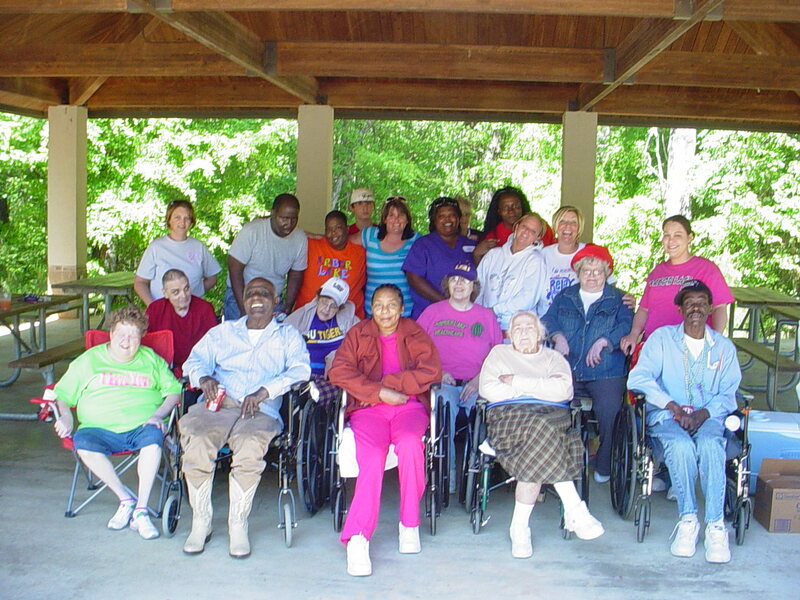 Two of the residence that are in wheel chairs, Deloris and Melody (who are best friends by the way) showed everyone what team work and friendship is all about. When one had water lily (hyacinth) stuck on her hook she would swing it over and the other would take it off. Some of the seniors just enjoyed listening to waves rolling in and splashing against the pier, the birds singing and watching the grey squirrels chase one another up and down the trees’. One or two liked to try sneaking off if they thought no one was watching them. 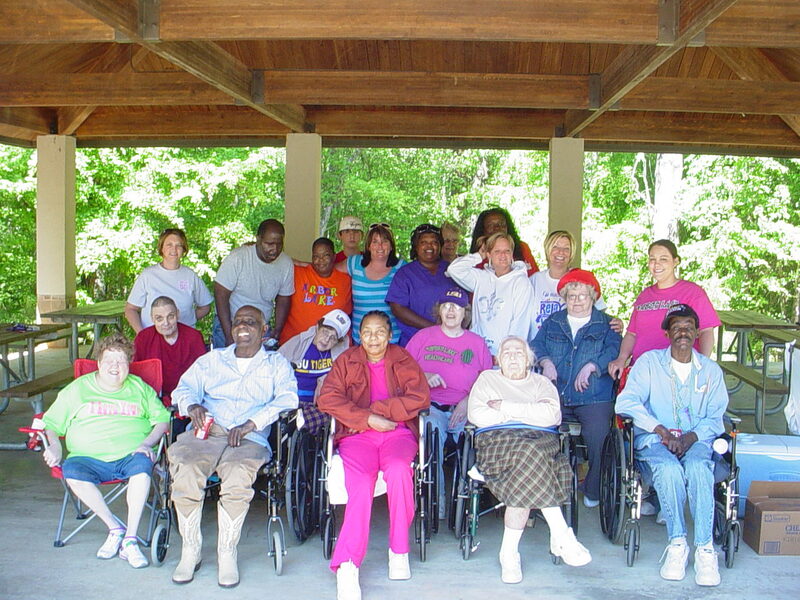 Thanks to the staff, they did an outstanding job taking care of everyone’s needs, from baiting hooks to the most important, a good old fashioned barbecue, that Mr. Floyd cooked. A special thanks to Ms. Becky, (Activity Director) for setting this up with me. I’d also like to thank our local bait shops, Lester’s and Andersons for their contributions in helping us make this happen. I believe everyone had a lovely time, I know I did. 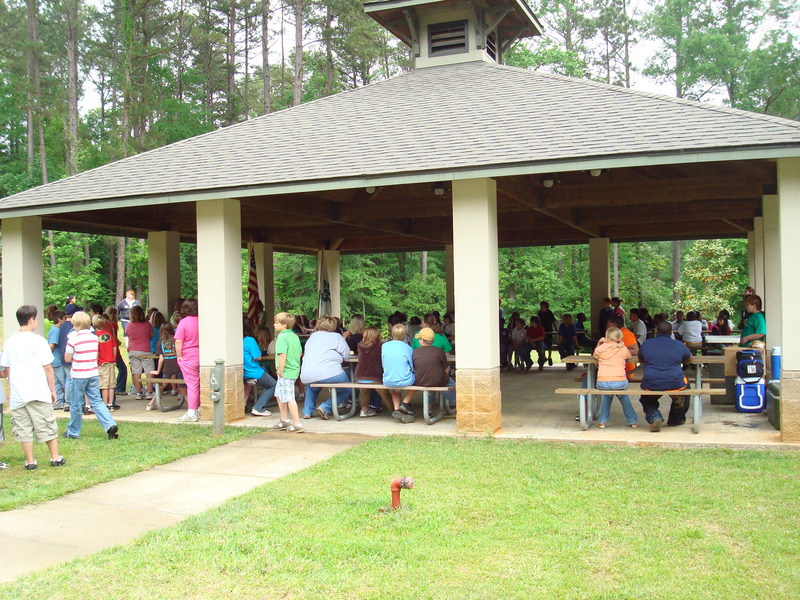 March 23, 2010: The 4-H Achievement Day held here had over a 175 students from Union Parish attend. 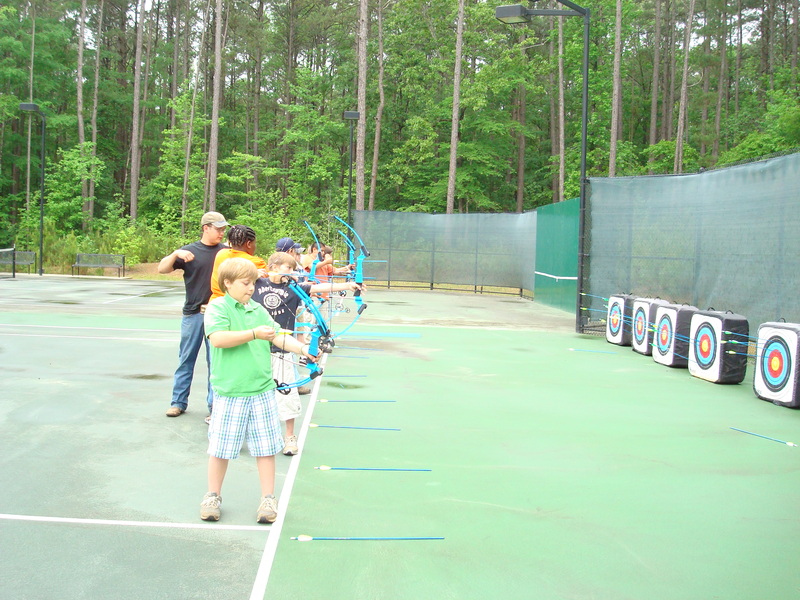 Activities included archery, fishing demonstration, health and safety, ATV safety and others. For students to attend they had to complete projects they were assigned to during the school year. Everyone had a terrific time even though the weather caused the program to be shortend. Every year 4-H holds it annual achievement day here in the park and is a pleasure for us to have them. May 1st : Motorcycle Poker Run, 10:00 a.m. Visitors are invited to the park for the Motorcycle Poker run that is to benifit the Kidney Foundation. Entry fee is$20.00 per bike and food will be served from Pavilion lll. May 8th : Kayak Club 9:00 a.m. On this Saturday we will be launching the very first Kayak club for anyone interested in exploring Lake D’Arbonne and other waterways in the area. Whether you have a kayak or not you are invited, just give us a call so we can get registered. May 15th : Dutch Oven Gathering, 9:00 a.m. Everyone is invited to join the fun and cook with your dutch oven in our campgrounds. May 22nd : Nature Art Program, 10:00 a.m. Kids get to express their artistic ability by drawing or painting nature as it appears to them. All art supplies will be provided so bring your children to the visitors center for a new experience. For more info or register call Jon at (318) 368-6291 or toll free (888) 677-5200. Last weekends activities was yet another great success. We had over 100 geo-cachers rally at Pavilion 2. They had people from all over the United States come and try to find all 24 caches. If you are not involved in this fun filled activity you should give it a try. Doesn’t cost anything to become a member just log on and register. What can I say other than mighty tasty vittles were served by our famous Dutch Oven Gatherers. Over 180 visitors enjoyed the demonstration: cooking, square dancing, musicians and again some mighty fine cuisine. If you missed this years Regionals just remember the 3rd Saturday of the month our local dutch oven club is here from 10:00 A.M. till 12:00 when lunch is served. Lake D’Arbonne’s Annual Geocaching Event. April 17, 2010 at Pavilion 2 festivities begin at 10:00 AM. What’s Geocaching you ask? It is a worldwide game of hide and seeking treasure by utilizing a GPS and entering the coordinates. Why would I want to do this you ask? It is a friendly family oriented game that encourages people to get outside, learn navigational skills and visit sites you may never ordinarily go. Geocaching was started here by Mr. Steve Lawson (Coolslaw) back in December 2006 he placed 5 caches and eventually added 10 more. We currently have 24 hidden caches on our park. There are now over a Million caches in the world. This year’s event is dedicated in memory of Steve Lawson. 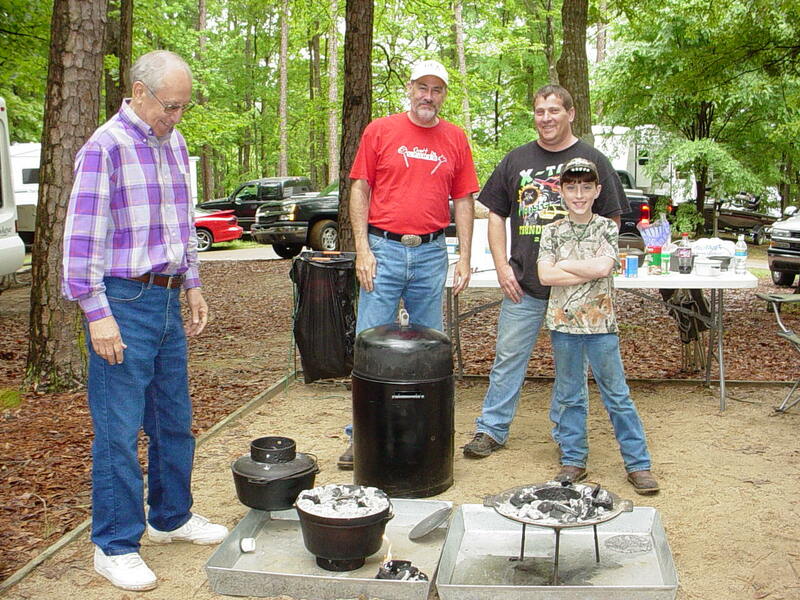 Lake D’Arbonne State Park – April 16 & 17 2010 – Regional Dutch Oven Gathering. Get your pots ready for the Spring Regional Dutch Oven Gathering in the campground area. Friday night will bring in local Square Dancing and everyone is invited to get on the dance floor. We will teach you how to square dance and get you healty heart beating at the same time. Saturday you will enjoy the best of the best food you can cook in a dutch oven. While you are eating and watching the demonstrations you will be entertained by the best of local Bluegrass Music you can find. Come early and stay late. For more information, call Jon Witherington at 318-368-6291.